Previously, she was a nursing faculty member at Galen College of Nursing in Cincinnati. She was formerly the director of the Medical Surgical and Intensive Care Unit at Fayette Regional Health System. She began at Fayette Regional as a registered nurse before she became the director of education. She was also the Medical Surgical Unit nurse team leader. Dixon is a member of the National League of Nursing, Eta Pi Kappa Sorority, and the Sigma Theta Tau International Honor Society of Nursing. 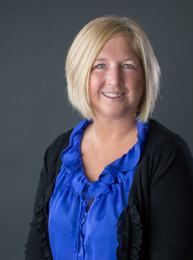 Cindy Farris, visiting assistant professor of nursing, received her Master of Science in Nursing Education from Ball State University and a Master of Public Health with concentration in Community Health Education from the University of Tennessee. She received her Bachelor of Science in Nursing from Ball State University. She is a member of the American Nurses Association, Sigma Theta Tau International Honor Society of Nursing, International Nursing Association for Clinical Nursing Simulation, National League for Nursing, Editorial Board of Home Healthcare Nurse and the International Home Care Nurse Organization. 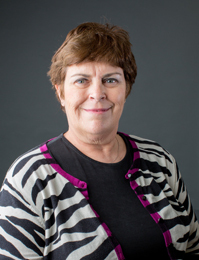 Previously, Farris has taught nursing courses for the Caylor School of Nursing at Lincoln Memorial University. School of Nursing at Tennessee Technological University; School of Nursing at Tennessee Technological University; South College; and the Carson Newman College Community Health. She has co-written articles for the Clinical Supervisor Alert and has reviewed professional journal articles, books and book chapters. In May, Farris received the Professional Nursing Clinical Excellence Presented by Regional Cooperative for Professional Nurses Week.